@SirWonky: or just service it and replace what's broken. @NotNamed: 75kg for 1.83m ain't fat :) You feel every gramm when you remove them everywhere. 100+50+250+... and you got few KG digits off your ride. @cvoc: This. @wowbagger: I definitely have more fun on a light bike than on a heavy one. 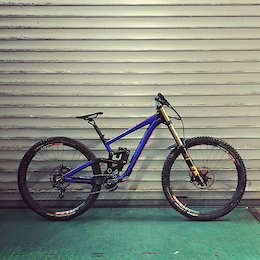 @WAKIdesigns: A friend bent one E-thirteen crank hitting the pedal at low position, he's 80kg and not riding at pro level. He got a free replacement from E-thirteen while Canyon wouldn't hear anything tho. It's one case from many others seen over the years. I've striked my pedals many times and my carbon cranks are not bending. 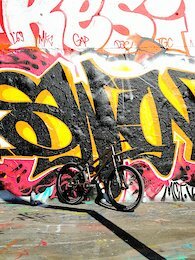 I do ride the SixC on both DH & street/park bikes and will never go back to aluminum. Imo any gramms I can get rid of makes the bike feel more playful, more active and you fight less against your bike. 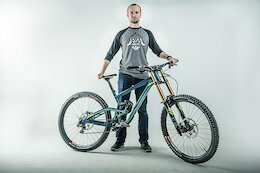 You must assume they are customers willing to get a steel frame with alloy components, while some others go carbon for the weight, that's a choice. Here the subject I pointed was using titanium, the most reliable and possibly the lightest material for cranksets but no DH option yet... I may be interested in it if the msrp has 3 numbers. @Ktron: You meant 'Will take price over durability any day'? Titanium is far more durable than aluminium, and it can be lighter as bonus.